Mike, my mountain biking son, is here in Arizona for his Winter Mountain Bike Training Camp and a couple of Mountain Bike races. He had a very light “recovery day” on Monday which meant he would only be on the bike for one hour. So, he and I went for a hike! 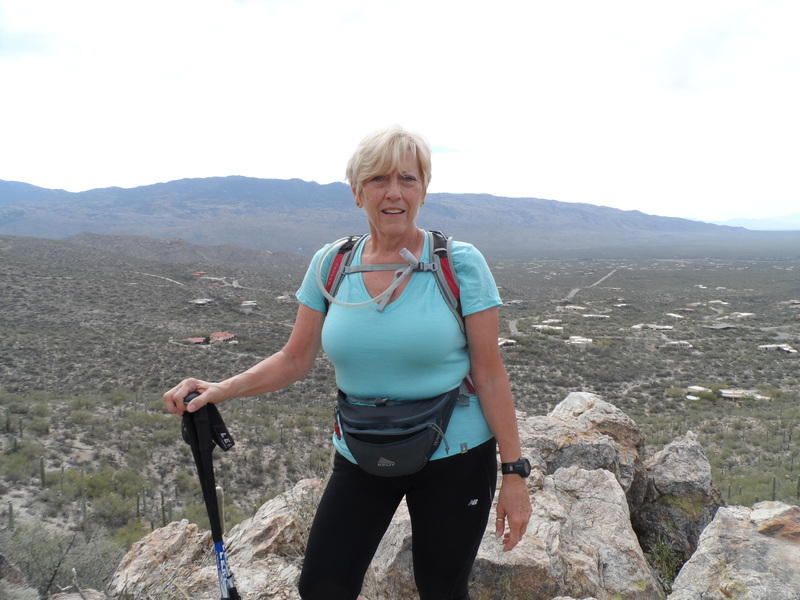 I usually hike alone – I know that disobeys the first commandment of hiking – but what is a woman to do when she can’t find hiking partners? Whenever I get someone to hike with, I hike a trail I have never hiked before. It was a tossup between the La Milagrosa Trail ( http://www.cherba.com/atmb/milagrosa/milagrosa.htm ) and the Agua Caliente Hill Trail ( http://www.cherba.com/atmb/agua_caliente_body.htm ); we tossed a coin and decided on the Agua Caliente Trail because of accessible parking for the car. 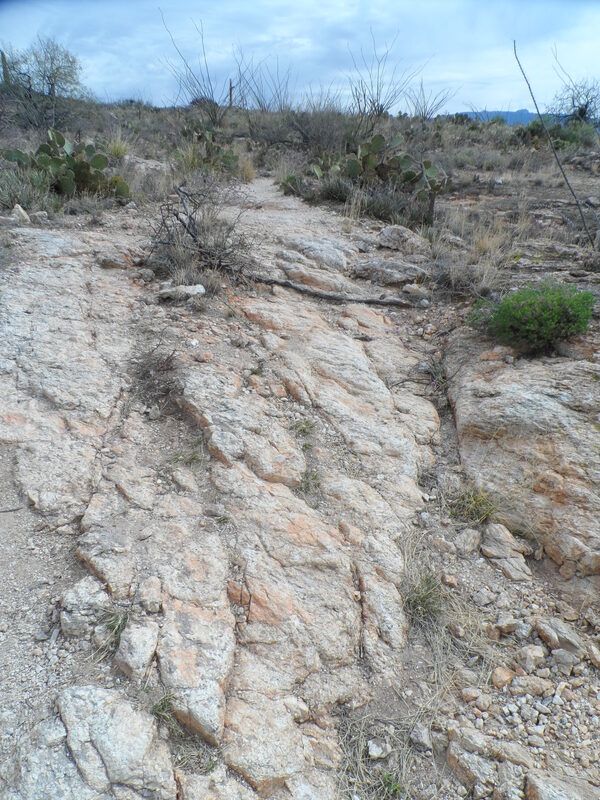 The climb was rocky, similar to the section on the Camino Francés between the Cruz de Ferro and Molineseca. There were some astounding views. 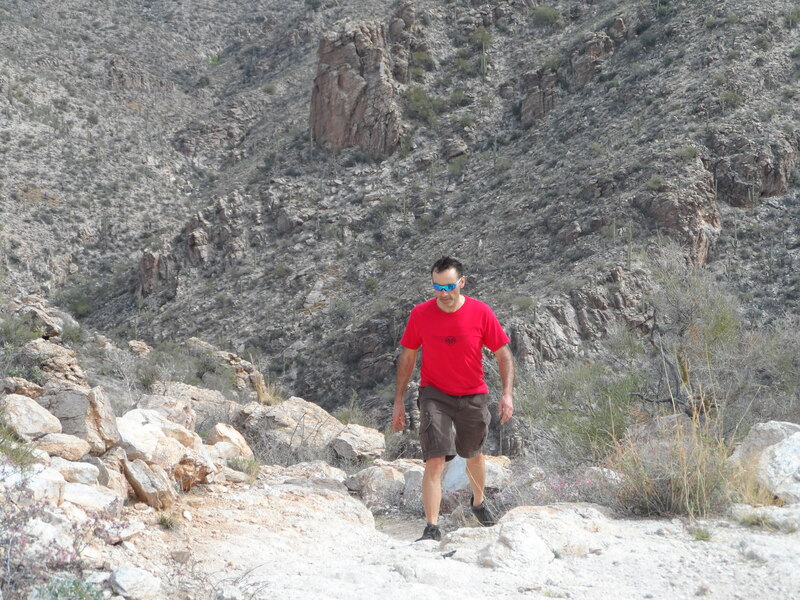 I enjoyed the hike tremendously; it was a great training work-out with the benefit of sharing an outdoor sport with Mike! And now I am familiar with another local trail that I will definitely hike alone. 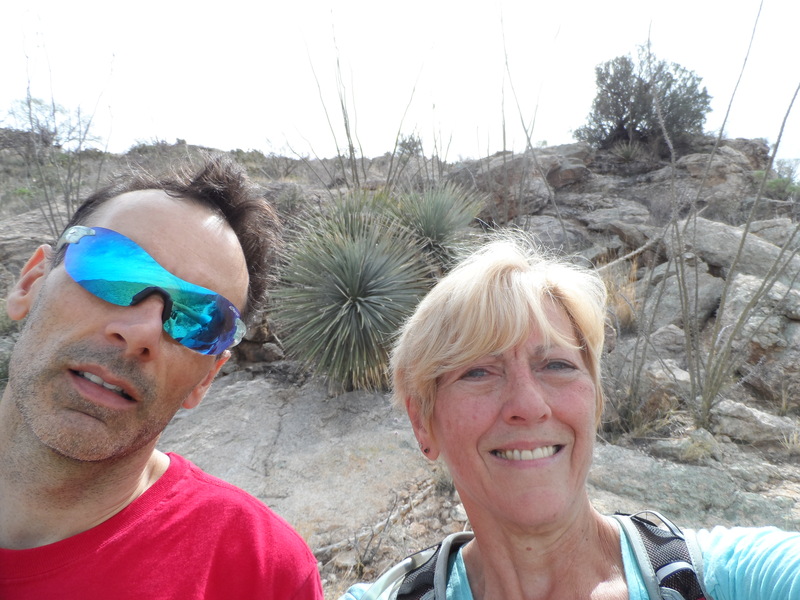 This entry was posted in Adventures, Camino Portugués 2014 and tagged Agua Caliente Trail, Camino Frances, Hiking, La Milagrosa Trail, Mountain Bike Winter Training Camp. Bookmark the permalink. That’s wonderful. I’m glad u could spend time with your son and find a trail where u feel comfortable hiking alone. Just don’t get too comfortable k? I owe you a call, I know. Hope the recovery is coming along well! We’ll talk soon! All the effort you’re putting into your training will really pay dividends on the Portuguese Camino with Bill and co. You will put them all to shame! Well done and go for it! It’s great to see you here! Whether or not it pays dividends on the Portugués Camino or not, I’m having the time of my life! 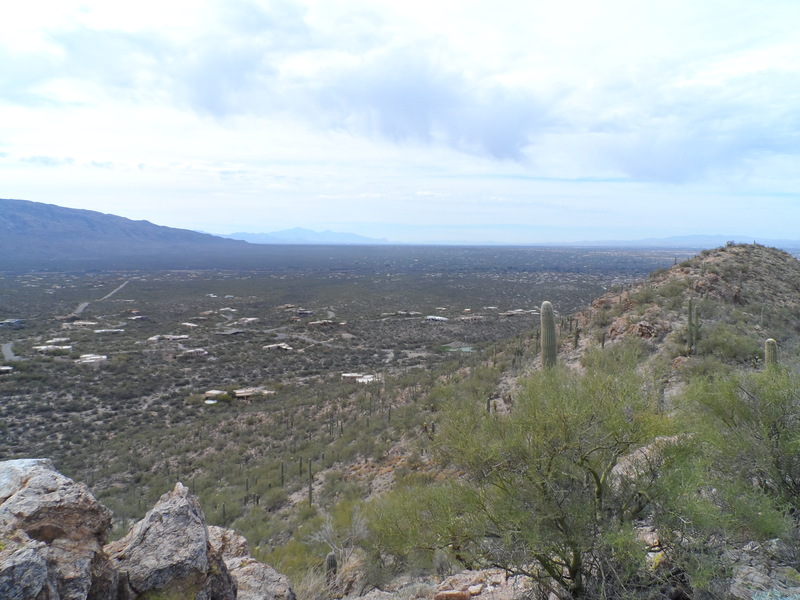 Getting out there and hiking the back country (albeit well traveled trails) is quite adventurous and a great time! It was hard but a hell of a lot of fun! And to be able to hike it with Mike made it even better. Glad you enjoyed a new trail and extra special to hike it with your son! I read the previous comments and saw ‘recovery’….. ? what happened? I called a few weeks ago but will call again soon = I know we’ve been playing phone tag for a while now but would like to talk to you soon! Keep enjoying the company and the hikes my friend! A friend had surgery and I was asking how her recovery was going. I know we have been missing each other – I spend a good part of each day hiking, it is not unusual for me to be out there for 4 hours or more. Looking good girl!!!! Glad you could share with Mike…Have fun! Sure do wish you were here – this trail was a killer, but I’m going to hit it again and again. It’s going to be another hike I do once a week as long as the weather holds out. I won’t be able to hike it in the summer, way too hot and way too exposed to the sun. Great pics. Must have been fun hiking with Mike. And, yes, of course, you might just be the fittest female I know.